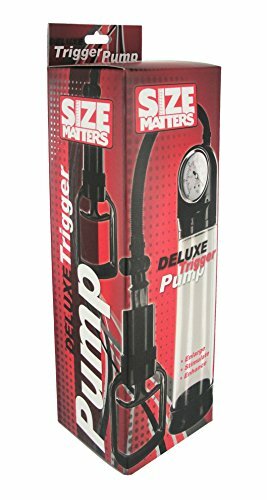 The Deluxe Trigger Pump from Size Matters features a unique trigger mechanism for better control which creates a vacuum in the sleeve. A built-in pressure gauge lets you monitor the intensity. 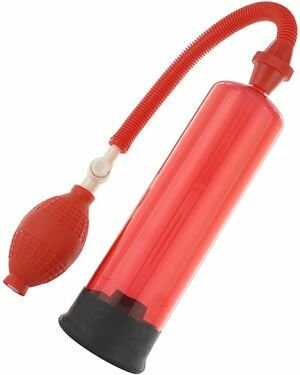 A flexible hose attaches the pump to the thick plastic cylinder that is shaped to fit comfortably. 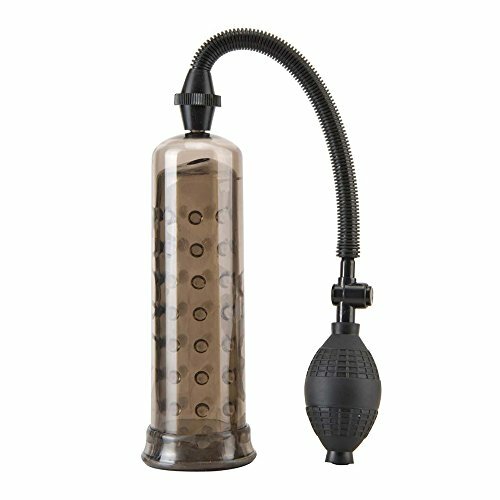 Super easy squeeze trigger design for hassle-free pumping and an in-hose release valve lets you quickly and easily release pressure. 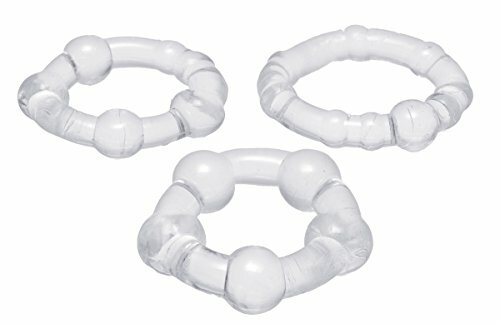 Also Included is the Triple Erection Ring Set, colors may vary. 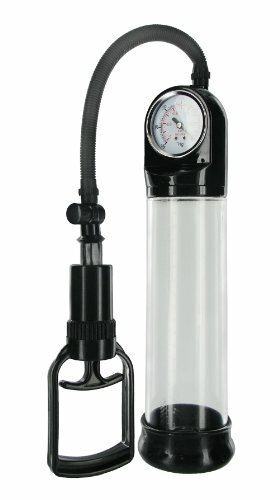 Pump Measurements: Cylinder has 8 inch internal length, 2.4 inch internal diameter. 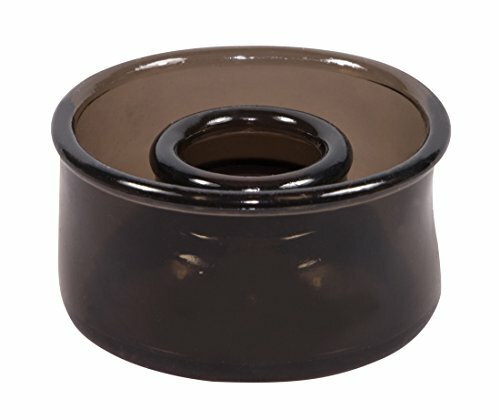 Material: ABS, TPE Color: Black and Clear.